In previous posts, I’ve shared the PC version of the story about the ant and the grasshopper, as well as the modern fable about bureaucracy, featuring an ant and a lion. And I’ve also posted a revised version of Green Eggs and Ham. Now we have a nursery rhyme about the little red hen. But not the old-fashioned version. Here’s the modernized version the President reads to his kids. “Who will help me plant my wheat?” asked the little red hen. “Not I,” said the cow. “Not I,” said the goose. “Then I will do it by myself.” She planted her crop and the wheat grew and ripened. “Who will help me reap my wheat?” asked the little red hen. “I’m on disability,” said the duck. “Out of my classification,” said the pig. “I’d lose my seniority,” said the cow. “I’d lose my unemployment compensation,” said the goose. “Then I will do it by myself,” said the little red hen, and so she did. “Who will help me bake the bread?” asked the little red hen. “That would be overtime for me,” said the cow. “I’d lose my welfare benefits,” said the duck. “I’m a dropout and never learned how,” said the pig. “If I’m to be the only helper, that’s discrimination,” said the goose. The smell of fresh-baked bread attracted all her neighbors. They saw the bread and wanted some. In fact, they demanded a share. “Capitalist leech!” screamed the duck. “I demand equal rights!” yelled the goose. “Share with the 99 percent,” grunted the pig. And they all painted ‘Unfair!’ picket signs and marched around and around the little red hen, shouting obscenities. “But I earned the bread,” said the little red hen. But only in the President’s fairy tale. 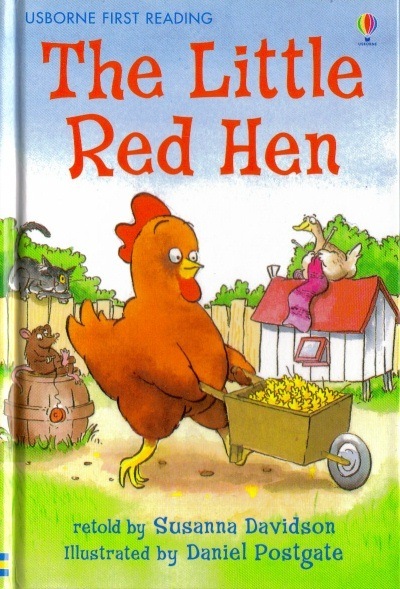 In a real-world version, the little red hen never again baked bread and the farmyard suffered Greek-style chaos when the animals riding in the wagon suddenly discovered there was nobody left to pull the wagon. If this fable seems familiar, you may be thinking about the post that used beer to explain the tax system. And if you prefer your irony on the 5th-grade level instead of the 3rd-grade level, here’s a post using two cows to explain various economic and political systems. Why Is It Okay to Escape High Taxes by Moving from Maryland to Texas, but Not Okay to Move from the United States to Singapore? I’ve commented before about entrepreneurs, investors, and small business owners migrating from high tax states such as California to low-tax states such as Texas and nobody gets upset. Indeed, I just appeared on Fox Business Network to talk about a new study showing an exodus from Maryland following the imposition of some class warfare tax hikes (which simply confirms earlier analysis showing the same trend), and at no point was there any discussion about whether the state’s taxpayers had some sort of moral obligation to stay put and get fleeced by Obama-style tax policy. But when a successful taxpayer decides to move from the United States to Singapore, there’s a different reaction. All of a sudden, that person becomes selfish, greedy, and unpatriotic. Even though I’ve defended the right of people to protect themselves from greedy governments by moving across national borders, I can sort of understand why people tend to react in a negative fashion. Simply stated, we self-identify as Americans (if we have any patriotism) and don’t have instinctive loyalty to individual states. So we don’t think there’s anything wrong when an American flees from New Jersey to Florida. But it rubs us the wrong way when American citizens renounce their citizenship. Even when we rationally understand that they are making the best possible choice for their families. This issue has become hot again now that another big name has decided to escape the IRS, and I discuss the issue on Fox News. In my first soundbite, I warn that expatriation is driven by a combination of punitive tax policy and a growing perception that America will suffer a Greek-style fiscal crisis thanks to poorly designed entitlement programs. At this point, I can’t resist a detour. Shepard Smith goofed big time when he remarked that taxpayers would “lose” because of Denise Rich’s expatriation. Nonsense. If my neighbor puts locks on his doors and bars on his windows and no longer is being robbed, that doesn’t impose any cost on me. Indeed, I’m probably helped because thieves may get discouraged and decide to live honestly instead. And even if thieves now target me because my neighbor’s house is less vulnerable, that’s not the fault of my neighbor. We should always remember that the blame should fall on the thieves. Or, in this case, the politicians. As if there’s a difference. Now, back to the main topic, Fox did the same report at a different point in the day, but they used a different soundbite. In my second appearance (only an excerpt, not the entire segment), I explain that it doesn’t make sense to drive the geese with the golden eggs out of the country. Interestingly (or perhaps I should say disturbingly), even France has a better approach to tax expatriation than the U.S. government. That tells us something about how American policy has veered in the wrong direction. The big picture, as I’ve noted before, is that we want people to have the freedom to cross borders as a means of disciplining politicians who will over-tax and over-spend if they think taxpayers have no choice but to meekly submit. Which is why all of us should be very happy that tax havens exist. Imagine how high taxes would be if politicians didn’t have to worry that people had escape options.